Estimates Lasso and Elastic-Net regression models on a manually generated sparse signal corrupted with an additive noise. Estimated coefficients are compared with the ground-truth. 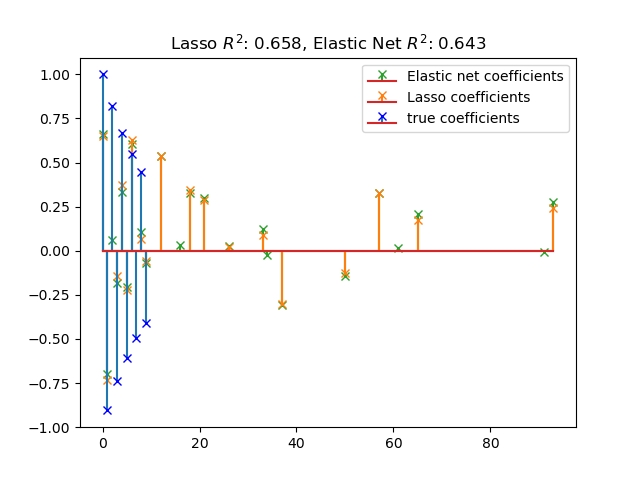 plt.title("Lasso R^2: %f, Elastic Net R^2: %f"